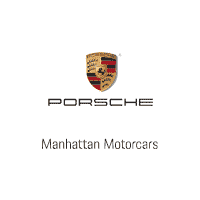 Every Porsche car owner knows the prestige that comes with owning a luxury ride from one of the most desired car marques in North America – that’s why we at Manhattan Motorcars are highly committed to the cause of bringing both new and used Porsche vehicles to car buyers in Brooklyn and the surrounding regions. Not only do we keep a wide range of Porsche models at our dealership, we also provide superb servicing services for Porsche cars as well as maintain a well-stocked inventory of Porsche auto parts. Visit us today at Manhattan Motorcars and get ready to witness the best of auto technology and design workmanship in our Porsche cars. Located in Kings County, Brooklyn is widely known as the most populous borough in New York City. It is home to a thriving hub of business activities and its neighborhoods represent a dynamic mix of cultures due to the highly diversified ethnic composition here. Whether you are looking for high tech startup firms or postmodern art studios in Brooklyn, it is highly likely that you will find one at every nook of the city.